The process of saving audio, music, video, images, and GIF files is same for both Android and iPhone. 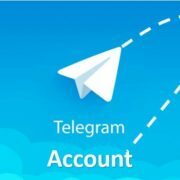 Go to the Telegram app. 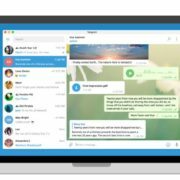 Open the chat of Telegram from where you want to download the media. 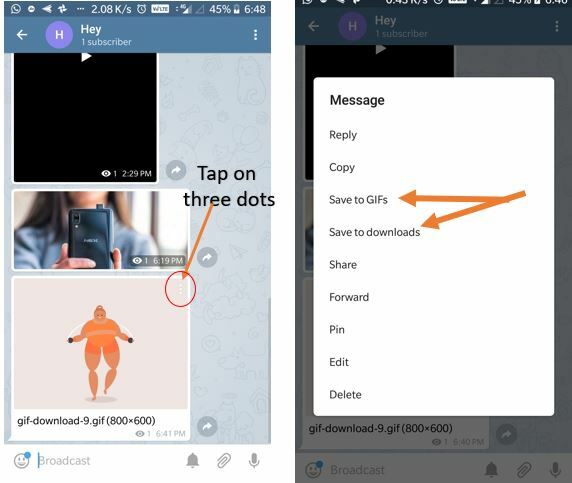 To download and save the Videos, music, GIFs, and other document files you need to tap on the three dots given on the right top corner. As soon as you tap it a pop-up menu will open. Select the option Save to Gallery option. In this way, you can save the files including music and videos. For saving the images, just tap on them. The picture will appear in full screen. Now tap on the three dots given on the right top corner. Select the option Save to Gallery. 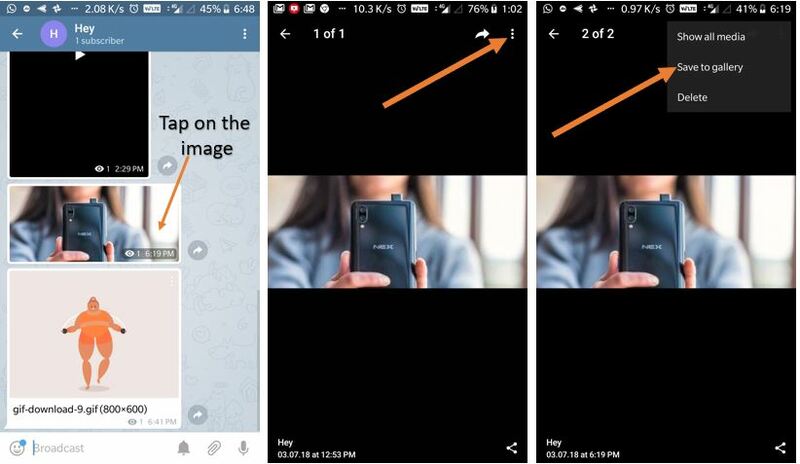 This will save the images of Telegram in the Phone Gallery whether it is Android or iPhone. To Save GIF do the same, tap on the three dots and choose Save GIF option. However, to save the GIF into the phone select the Save to downloads option. Now come to the Desktop. To save the Telegram media files on the Desktop you just need to right-click on the files. If it is video, you will get the option “Save video As“. For images on Telegram Desktop app, a “Save Image As” option will appear. And in the same way, if you want to Save some GIF from Group or personal chat into your Telegram GIF gallery then just right click on it and select the option Save GIF. To save GIF on computer PC right click on it and select the other option “Save File As“. To Save Video: Tap on the three dots-> Save to gallery. To Save GIFs on Telegram: Again Tap on three dots and then choose Save to GIFs to save it to your Telegram GIF gallery. And to get it on your phone gallery select the Save to downloads. 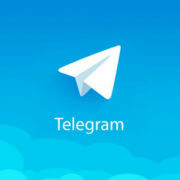 But after saving GIFs to your Telegram Gallary, how to use it? 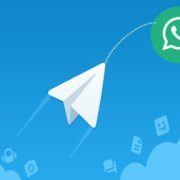 How to find saved GIF on Telegram? 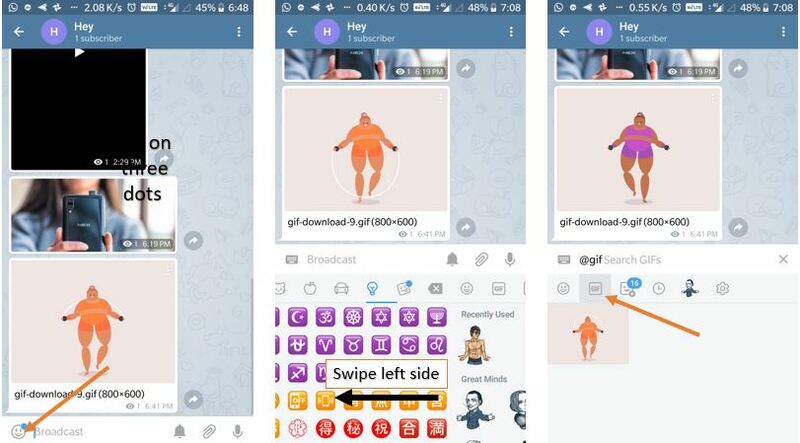 So, after saving it when you want to use that particular saved GIF while chatting just click on the emoji icon and swipe emojis to left in order to get GIF section. 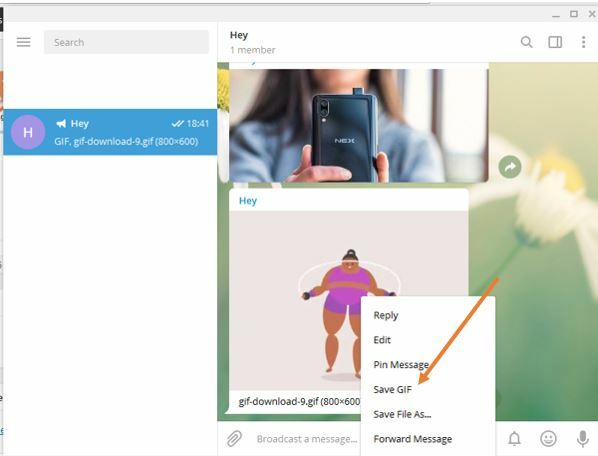 For Desktop Telegram App to Save videos, images, audios gifs or other files you just need to click on them and save option will appear. I hope this small tutorial article will help you. In case you have any confusion please let us know the comment section is all yours!! hey, i am using oppo fon and i couldnt downld, movies from telegram.there is no save to gallery option on my fon. will you please me out? 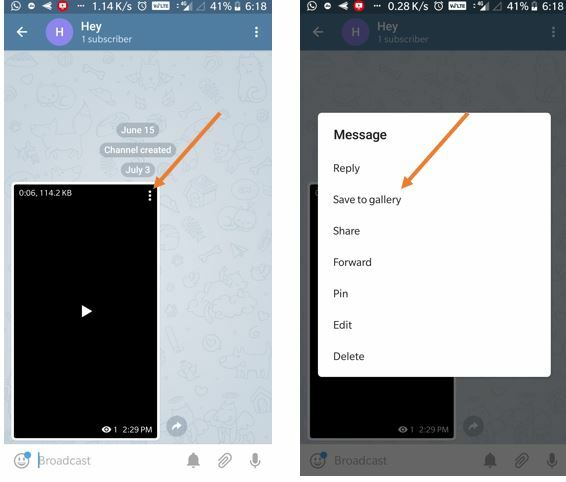 First, you need to play or download the videos on Telegram app itself once it downloaded from Telegram server on behalf your account, then tap on the three dots given on the top right side on the video and you will get the Save to gallery option.